Tint Design entered the world of social media a couple of years ago with growing success. Using avenues such as Facebook, Instagram and Twitter have allowed us to promote our products and services to a range of existing and potential clients along with putting our mark on the design world. Thriving from this success, we have decided to enter the world of Pinterest. 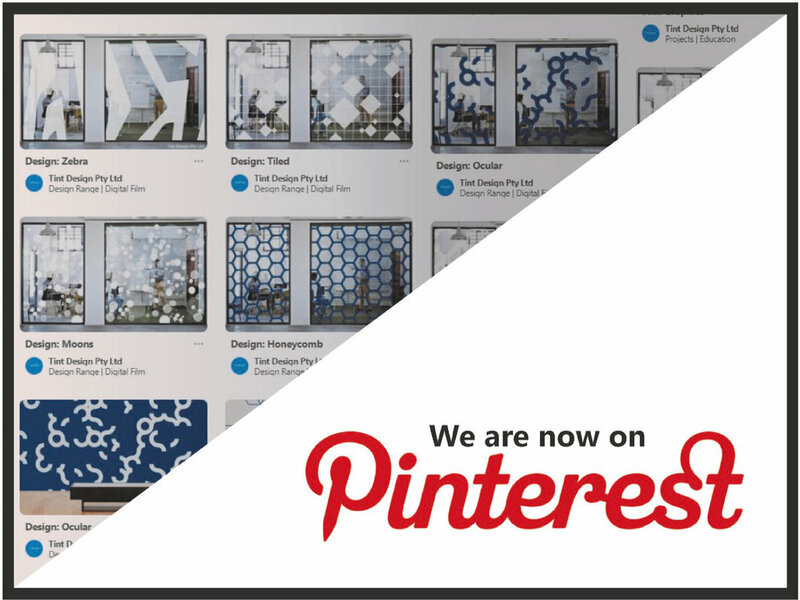 This is exciting for Tint Design since we are not only able to promote our existing projects and design concepts, but we are also able to trial our new designs on Pinterest's audience and see what they think! Our designers are having a lot of fun experimenting with new ideas that will hopefully inspire and allow people to see the unlimited potential design can have on windows and walls and how it can completely transform the look and feel of a professional (or private) space.